Hosted by Andrew Quinn and Darren Mooney, this week joined by special guest Andy Melhuish, The 250 is a (mostly) weekly trip through some of the best (and worst) movies ever made, as voted for by Internet Movie Database Users. New episodes are released every second Saturday at 6pm GMT, with the occasional bonus episode between them. This time, Gary Trousdale & Kirk Wise’s Beauty and the Beast. Once upon a time, a tired traveller came upon an isolated castle. Imprisoned by a foul-humoured beast, the man’s daughter was forced to trade her father’s freedom for her own. However, over time, the young woman comes to realise that there may something human lurking beneath the creature’s monstrous exterior. At time of recording, it was ranked the 248th best movie of all time on the Internet Movie Database. You said you’d always be there for me! … But you’re not. 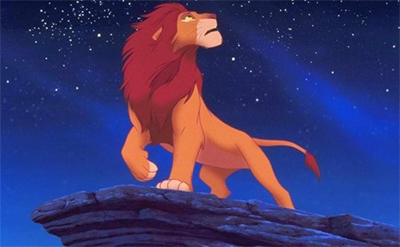 The Lion King is my favourite Disney film. I don’t know if I could argue that it’s objectively the best or anything like that, as I imagine that there are a lot of external factors that contribute to making a person’s favourite Disney films – most of which are matters of timing, with the film appearing at “just the right time”, to borrow a cliché. I was seven years old when the film was first released, but I don’t believe that I saw it in the cinema (hence my trip to the cinema to see it on re-release), so perhaps I was eight or nine when I first caught Disney’s adaptation of Hamlet. It’s a dodgy proposition revisiting something you loved as a child, as there’s a risk that the finished product won’t quite live up to your memories of it – perhaps because you say it differently through younger eyes, or because time has marched on, or because you’ve become too cynical. So, I was taking a considerable risk as the theatre went dark, wondering if perhaps I had made a mistake. I hadn’t. Sometimes some things areas good as you remember them. "The fault, dear Simba, lies not in our stars... but in ourselves..."